There are millions of millionaires all over the world, and they all need a place to live. As you can imagine, these homes are very expensive (and good for real estate). Millionaires and billionaires live in homes ranging from fancy estates and mansions, to penthouses in major cities. We’ll take a look at just a small handful of the most expensive penthouses in the entire world. As we look through them, imagine if you had all the money you could ask for in the world. Would these penthouses fit you nicely as they have the other millionaires and billionaires who own them? Or would you rather keep on looking? A few of these penthouses are located in the United States, either Florida or New York, and are bought and owned by foreign investors and millionaires. Others are on foreign soil and are owned by American millionaires, so as you’ll see, these penthouses are located in many geographical locations around the world. Even as home prices in the United States continue to increase, more and more millionaires and billionaires are buying these penthouses, as their value increases as a result of inflation. In fact, when American citizens purchase expensive penthouses in America, it actually helps the American economy out. The same can be said for people in other countries as well. Lets Look at the 10 Most Expensive Penthouses With Rent Price. The Spencer Condominium Penthouse in New York City measures just under 5,200 square feet, and comes equipped with a private elevator that will take you up and down the two story penthouse. Also included in the Spencer Condominium Penthouse are four bedrooms (not including the master bedroom), a personal library, a private office, fancy dining room, and a terrace giving you a magnificent view of New York City and Central Park. Not only that, but whoever owns this penthouse is given twenty-four hours of high quality service from an experienced concierge team. All of this comes at a price tag of $30 million, so start saving your money! But as we’ll soon see, this is just the beginning. 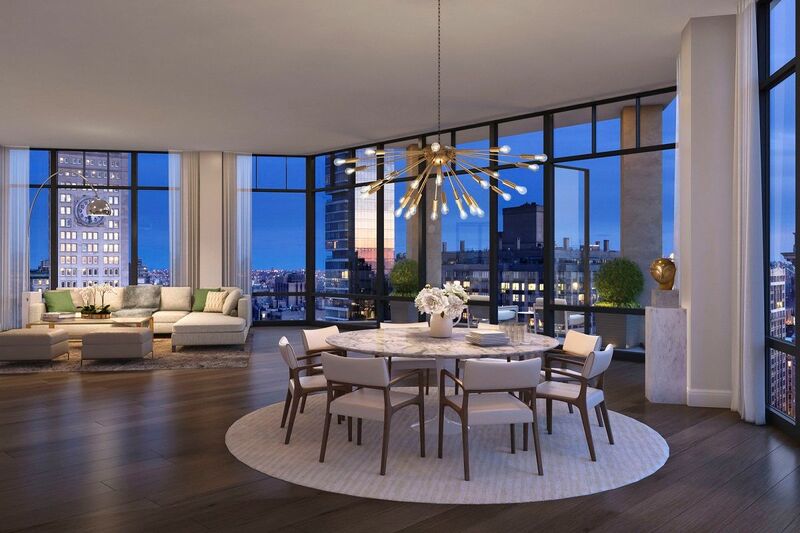 Also located in New York, the One Madison Penthouse is located on a glass tower, measuring sixty stories that has been the home to many famous celebrities. Finally, the real standout of this penthouse is the beautifully decorated décor, including marble walls and a personal indoor pool. The One Thousand Museum Condos in Miami offers some of the most luxurious living space of any penthouse, or any residence, in America. The owner of this penthouse will also have their personal gym and spa room, a terrace that offers an amazing view of Miami, a personal helipad and very well furnished décor. However, this penthouse is still in the process of being built, so no one owns it yet, but it’s still estimated that the price tag will clock in at around $45 million. Sitting atop the tallest building in Singapore, the Clermont Residence is also in the process of being built, but will include almost two hundred apartments, as well as the main attraction, a fifteen thousand square foot penthouse with a private elevator. Many millionaires and billionaires across the world have already begun eyeing the Clermont Residence, so it could be taken as soon as construction is completed. You won’t find a better view of Miami than from the Faena Penthouse, sitting atop eighteen stories of other apartments. Despite being only eight thousand square feet, the Faena Penthouse is packed with luxuries including, four bedrooms and a master bedroom (with a terrace for each), a private gym, pool and a theater room. The Opus building in Hong Kong holds twelve stories of apartments, but the true attraction is the beautiful penthouse that sits up on top, that is also the most expensive penthouse in the city. Unlike some of the other penthouses on this list, the Opus Penthouse is very economical with a rainwater recycling system and an electric car charger. But due to strict measures taken by the Hong Kong administration, the Opus Penthouse is only available to rent and is not for sale. While that could be considered a good thing, in that more people get to enjoy this wondrous place to live in, it may not take that much time to change. The Tour Odeon building currently stands as the tallest building in Monaco, standing at over five hundred and fifty feet. The thirty six thousand square foot penthouse, also known as the Sky Penthouse, offers a spectacular view of the Mediterranean Sea, standing on top of seventy other luxury apartments, and is also comprised of over five floors. The Tour Odeon presently is becoming renowned as one of the most expensive places to live in the entire world, and certainly one of the most expensive around the Mediterranean Sea. This is truly an incredible place to live. A thirty-story building, originally built in the early 1970s; the South Bank Tower was recently redesigned and renovated to keep up with the more modern competition. Both the interior and the exterior of the building have been redesigned. It stands at forty one stories, comprising almost two hundred different luxury apartments. But the true gem of the South Bank Tower is the Penthouse, that sits on top one of the most expensive penthouses in the United Kingdom, not to mention, the world. 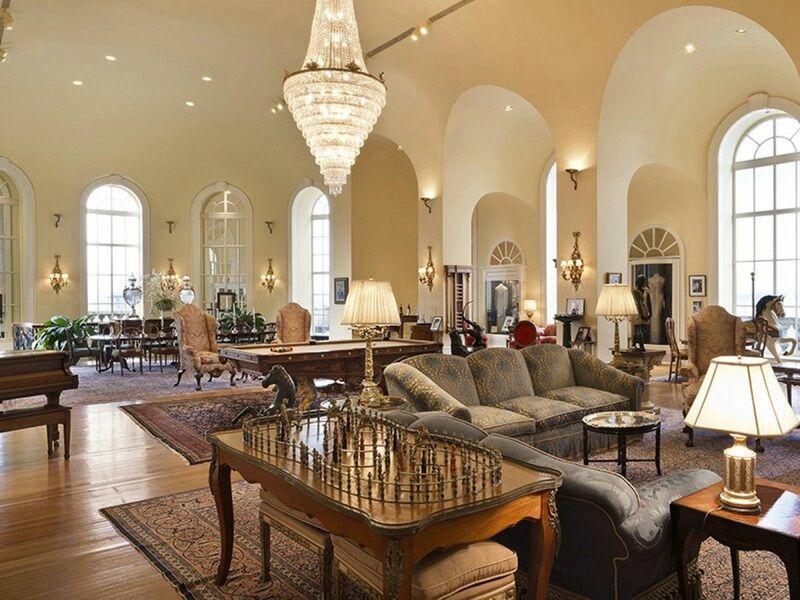 The Pierre Hotel Penthouse is simply put, the most expensive penthouse in the United States of America. The interior is decorated with pieces of artwork and statues that alone, are worth millions of dollars each. There are also cathedral windows and fireplaces that bring back American History from the 1600s and 1700s, a grand stair case and a rooftop terrace that offers a complete view of Manhattan, Central Park and Hudson Bay. The price just to keep this penthouse well maintained comes in at over fifty thousand dollars a month. This penthouse may be centuries old, but it still stands tall and true today, as the most expensive and luxurious penthouse in the United States. There are dozens, or perhaps even hundreds of truly wondrous and impressive penthouses in the United States, but none near as wondrous and impressive as this one. This is the most expensive penthouse in the United Kingdom, and one of the most expensive in the entire world. Even though it doesn’t sit on top of a skyscraper, like many other penthouses in the world, it’s still the most impressive in London, in terms of both looks and price. The penthouse includes a private cinema room, a court and a golf simulator, as just a handful of the unique amenities. Plus, the concierge team are among the most highly trained and experienced in the entire world.